Jesus, who told the parable of the talents, was not shy about discussing money, but church people often are. The diocese is working to change that through Pathways to Vitality, a financial literacy initiative funded by Lilly Endowment Inc. Three parishes—All Saints, Indianapolis, Good Samaritan, Brownsburg and St. Timothy’s, Indianapolis—recently celebrated the completion of the Pathways’ pilot year project with a Eucharist and reception. The Pathways program is designed for clergy and lay leaders to facilitate well-informed and honest conversations about money. But financial literacy and transparency aren’t ends in themselves, says Melissa Hickman, the program’s director. “The goals of the pilot initiative were to enhance congregations’ sustainability by helping them to identify their unique ministries, build vital teams and create projects using practical financial and administrative skills,” she says. The three congregations participated in a yearlong process that included a strategic planning retreat and six workshops that focused on topics including team building, leadership, communications and hospitality, and evangelism. The Rev. James Lemler, longtime pastor, former seminary dean and author of “Transforming Congregations,” served as chaplain, and presenters included Nathan Kirkpatrick of Duke Divinity School and the Rev. Dr. Carol Pinkham Oak of Virginia Theological Seminary. “All of our workshops have had some element of financial literacy,” Hickman says. “Real basic things like how to read your profit and loss statement and guidelines for clergy compensation. Just those tactical pieces that lead to a better understanding of a congregation’s picture. “But in the pilot program, we were always very careful to state that sustainability isn’t just about money,” she says. “That’s an important part of it, but that’s not all there is to sustainability. So all of our workshops try to weave those pieces together. 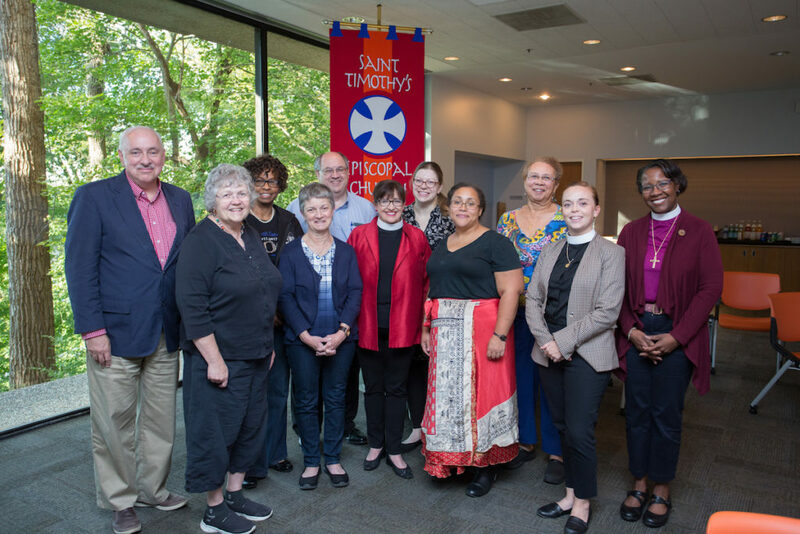 All Saints’ vitality project strengthened its Christian formation program to help individuals connect and grow in spiritual depth. Using the Spiritual Life Inventory from Renewal Works, the All Saints’ team sought to define its congregation’s spiritual beliefs and practices, and its alignment with Episcopal ideas of spiritual health. As the first diocesan-sponsored church plant in 20 years, Good Samaritan recognized its sustainability is contingent upon developing and supporting healthy lay leadership. The vitality team developed the congregation’s first organizational chart; identified the values, expectations and processes that will guide the work of its ministry teams, and developed job descriptions for each ministry team. St. Timothy’s has experienced solid growth during the last seven years. Led by its vitality team, the congregation paused during the last year to develop strategies for getting to know each other, for exploring the congregation’s identity and for connecting with others beyond the walls of their church. From a survey, the congregation learned that members craved more fellowship opportunities and also wanted a new brand identity, website and parish photo directory. The Rev. Erin E. Hougland, the priest assigned to the Pathways project, has rotated in residence among the three parishes helping the vitality teams to design and implement their projects. “Stewardship initiatives, discipleship programming and lay leadership, those are the three ways I focus on working with the congregation,” says Hougland, who has just begun her residence at St. Timothy’s. The third goal of the diocese’s Pathways initiative, one not dwelt on in the pilot program workshops, is the development of a Ministerial Excellence Fund to provide financial support to clergy, seminarians and their families. Two years ago, the diocese conducted a survey revealing that the average diocesan clergy person had between $36,000 and $37,000 in seminary debt. “There were some as high as $70,000 and one as low as $1,500,” Hickman says. The Lilly Endowment has donated $250,000 to establish the fund and challenged the diocese to match that figure by the end of the year. Pathways to Vitality will offer two workshops at diocesan convention. At 10:45 a. m. on Friday, November 16, Hickman and Lemler will discuss how skill-based financial literacy can be grounded in the Bible, prayer and conversation to help transform congregations. At 9 a. m. on Saturday, November 17, Hickman and Hougland will moderate a panel of pilot program participants discussing the lessons they learned. For more information on the program, email Melissa Hickman.